Are you planning for retirement? Have you started to save? Do you know how much you need? If not, then today’s podcast is for you. 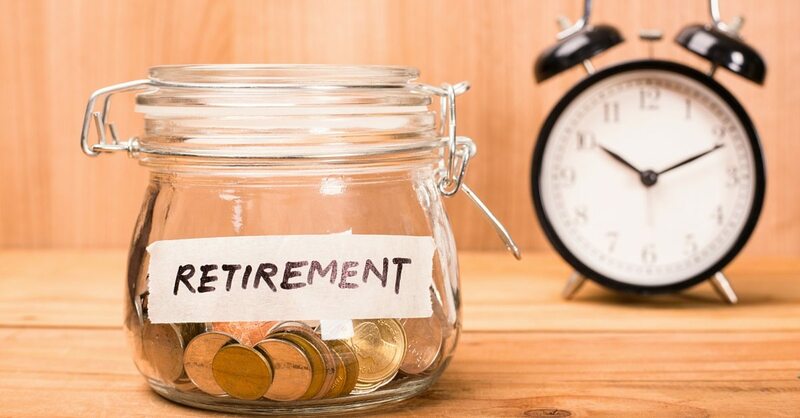 My guest, David Trahair, stops by to discuss his new book, The Procrastinator’s Guide to Retirement: How You Can Retire in 10 Years or Less, and provides tips for Canadians who’ve delayed saving for retirement. Listed in the table below is the maximum amount a single person can receive from government pension plans as of 2016. The average according to Service Canada is about $7,500 a year from the average person who’s already collecting the Canada Pension Plan. To truly know what you need to save up for retirement, David suggests tracking your spending for a month. He recommends a free tool from Mint.com that can track your spending and categorize where your money goes. Alternatively, for those that are nervous about their banking information going to Mint.com’s server and cloud, I suggest tracking one month with pen and paper, if you do not like to use a spreadsheet. Or download our free excel budgeting worksheet. By tracking your spending, you’ll have an idea of how much you need in a month to cover your expenses. What I’m saying is that if you are prudent with your money and essentially that’s as simple as spending less than you make and not running up debt so there is something to save for retirement. Factor in what you’re spending is, look at what you and your spouse, if you have a spouse, is going to get from CPP and Old Age Security and then look at the difference between your estimated spending adjusted for inflation and what the government pension plans are going to pay you. And then good news for many people is that differential is not that huge, so it’s not a million, it’s something much more attainable. He also says the concerns that there will be no pension left for Gen X and Millennials is not true. The Canada Pension Plan is currently fully funded for the next 70 years, even when you consider our aging population. What if I am in debt and planning for retirement? Before you start saving for retirement you need to get out of debt, especially credit card debt. It doesn’t make sense to save $200 a month to put into a RRSP, when you have credit card debt with 20% interest. He also cautions against using your house for your retirement because you cannot take $10,000 out of your home when you need it. A house is a good asset, but you need cash flow in your retirement. What if I am only a few years from retirement? David recommends focusing on discretionary expenses like eating out, clothing, and cash withdrawals to free up money that can be put into retirement savings. Again, he suggests tracking your expenses, so that any excess money can go into your retirement. In addition, start acting like you are retired, even on a part-time basis. This will help you determine what you will be doing while you’re retired and if you need to save more than someone who will work part-time in their retirement. If you find your debts are unmanageable and you will not be able to pay them off before retirement – get professional advice from one of the licensed insolvency trustees at Hoyes, Michalos & Associates. Your first consultation is always free. Read the full transcript of today’s podcast below. Doug Hoyes: Today we’re going to talk about retirement and more specifically is it possible to retire in the future if you have debt today. My guest today is David Trahair, who was my guest way back on show 25, back in February 2015 and this is show number 90, so it’s been well over a year since David was first on the show. And on that show we talked about his book Crushing Debt, Why Canadians Should Drop Everything and Pay off Debt. I’ll put links in the show notes hoyes.com to that show and links to David’s books. Today David is back and he just released a new book called The Procrastinator’s Guide to Retirement: How You Can Retire in 10 Years or Less. I’ve read the book, it’s got some great advice in it so let’s talk retirement. David, welcome back, thanks for being here. So, in Canada we have CPP and OAS and GIS. So, I would assume retirement shouldn’t be a big worry and yet you wrote a book on it. So, are you worried about Canadians being ready for retirement? David Trahair: I think generally, yes. I’m worried for a lot of Canadians. But let’s focus on the government pension plans for a minute and throw out some numbers. In 2016 the maximum Canada Pension plan is $13,110 a year, Old Age Security, $6,846 a year. So, you combine those, $19,956 just under $20,000 for a single person if they’re maxed out on Canadian Pension Plan. So, a couple that’s $40,000 if they’re maxed out. That’s a pretty good basic retirement pension, it’s a defined benefit pension backed by the Canadian government, adjusted for inflation. That’s a pretty good basis for retirement. So, people, lower income people who are in that boat might be fine just on the Government Pensions alone. The problem I think is middle income, higher income people who need much more than that and are woefully behind in their savings, their retirement savings are just woefully inefficient for their lifestyle. Doug Hoyes: So, how do I know then what I’m likely to need if I retire? So, you’re saying that if I’m maxed out for CPP, in order to be maxed out that would mean I had to have worked for a certain number of years. David Trahair: 39 years from age 18 to 65, yeah. Doug Hoyes: Got you, okay. And is there, do I have to have earned a certain amount of income during that time period too? David Trahair: Yeah, basically it’s tied to the year’s maximum pensionable earnings amount. So, for 2016 it’s about $54,900. Anybody earning a salary of that level or higher will be paying the maxim into the pension plan. So, you would be – the problem is most Canadians haven’t been. The average according to Service Canada is about $7,500 a year from the average person who’s already collecting the Canada Pension Plan. And that’s the main point I have, when projecting how much you’re going to need when you retire, there’s an easy way and a hard way. The easy way is relying on rough rules of thumb. Many of your listeners probably have heard of this idea that you need approximately 70% of your pre-retirement earnings to maintain your standard of living. That’s just a rough wild guess that may be right for you but may be totally inaccurate. A much better, and it is a harder way because it requires some more work, is to base your retirement spending on your current spending. And this is the key I feel to retirement planning as well as many other issues related to personal finance such as getting out of debt, is, I try to encourage people to track their personal spending. Track where their personal money is going because that is their fingerprint. You know, rules of thumb are dangerous because each of our personal financial situations are different. So, I try and encourage people to track their spending now and project into the future. Doug Hoyes: Yeah. Because I guess if I live in downtown Toronto or if I live in a small town somewhere else, my needs are going to be different. Am I going to need a car when I’m retired or not? Am I going to still be buying a suit every six months to go to work or will I not? So, I have to track what I’m actually spending now. So, if I have no clue what I’m spending on groceries now, then how am I going to project what I’m going to be spending on groceries when I’m retired. It’ll probably be a pretty similar amount I’m guessing. Doug Hoyes: I’m probably still going to eat breakfast when I’m retired. Doug Hoyes: But then I also have to take that next step and say okay when I am retired where will I be? Am I going to still be living in this same town? Am I going to live somewhere else? What is going to change? So, you actually recommend getting out a piece of paper or a spreadsheet and actually writing down here’s what I spend my money on. Doug Hoyes: You don’t get paid by Mint for saying that. David Trahair: I don’t, I don’t. But it’s an amazing service. It’s a free service whereby you download or have Mint.com the website download all your banking information automatically on to their server, it’s in their cloud. So, you have to get over the security controls and make sure you’re comfortable with the security controls of Intuit before you do this. But if you can get over that, the reporting is absolutely fantastic. One of the reports they have is a donut chart, a multi coloured donut chart showing the categories of your spending from the biggest to the smallest in colour. And if you click on any parts of the chart it’ll give you the source data behind that automatically. So, you don’t have to be an expert with a spreadsheet, they will do that for free. Doug Hoyes: So, it knows that if shop at ABC grocery store that’s probably food so it puts it in the food category. If I go to the gas station that’s probably gas for the car, it puts it in that category. Maybe I bought a chocolate bar at the gas station so it may not be 100% accurate but it’s pretty close. David Trahair: Exactly. And when you start to use it, it will do the best it can but you can override and say oh you got the wrong category, switch it to the correct category, add a new category if they don’t have one existing for your needs. And in many cases there will be or in some cases some uncategorized, they don’t know what to do with it. You’ve got to go in there and proactively tell it what to do. But after a period of months, it gets much better at automatically allocating to the correct account. Doug Hoyes: ‘Cause it figures it out. 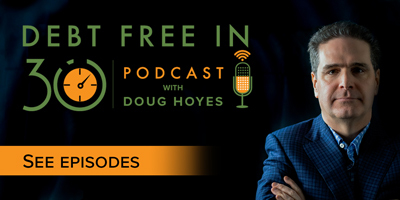 Doug Hoyes: I’m a big believer in doing whatever works for you. So, you’re right, you and I are both chartered accountants, we’re now called CPAs and so we’re numbers guys, spreadsheets, yeah sure we’ve all got spreadsheets on our computer, I bet we both have them on our phones and everywhere else. And so if you are like that then great, spreadsheets, using these online tools whatever. But if you’re the kind of person who hates spreadsheets or maybe even hates numbers or you’re really freaked out about this whole security thing, wait a minute they’re going to take my banking information and put it in the Cloud. Okay, that may very well be a valid concern. Well, there’s always a piece of paper and a pencil, and you can write down everything you spent this month and you won’t have five years of history perhaps, you might not have the fancy coloured graphs, but that’s better than nothing. David Trahair: Exactly yeah. Just do it for one month, one month. It wouldn’t take you that long and I bet you it’s probably the best investment you can make it life when it comes to personal finances. Just spend the time to go through your spending for one month. People, and I’m not a psychologist but I find people are amazingly consistent. So, once you track for years you’ll see your spending is very consistent year to year. So, a month is obviously not a great sample but for many people it’s golden information if they take the time to do it. Doug Hoyes: Well, that’s certainly better than nothing. David Trahair: For sure, for sure. Doug Hoyes: So, that’s a starting point. Now every financial planner in the world will tell you we don’t save enough for our retirement, we got to save more, we got to save more. Is that true? If so, why don’t we save enough or is it more of a timing thing? Do we need to be starting earlier? What’s really happening with our retirement savings? David Trahair: Well, again it’s an individual thing. But, you know, some in the investment industry, the people who are more salespeople than professionals will try and convince people that yeah, you’re going to need millions, which is ridiculous. Most people are going to get nowhere near a million or more saved for retirement. And the problem is a lot of them just simply give up and say oh this is hopeless, I’m never going to get to that level and I just quit. So, they stop thinking about finances they continue spending more than they make, they run up credit card debt etc. etc. Doug Hoyes: Now what if I’m sitting here going okay that all sounds good, I get what you’re saying. You know, when I retire I’ll be eligible for CPP and OAS depending on what my situation is at the time and the older I am now, the closer I am to that finish line. But what if I’m 30 or 40 years and I expect that I’m going to work till I’m 70 ’cause I really like it or I want to or whatever and I’m worried that by the time I get there, there will be no CPP. The government will have blown up and, maybe not blown up, that’s probably the wrong way to say it but maybe the money just won’t be there. There will be so many retired people and they will have sucked the system dry, there won’t be anything there. Do I need to worry about that? David Trahair: I wouldn’t. Personally I’m not worried about the Canada Pension Plan and I spent a lot of time studying what’s in there. The Canada Pension Plan was in trouble in the mid 90s. It was projected that the surplus was going to run out by I think 2015. So, the governments, the federal and provincial governments got together and made changes including increasing the contribution rate, it’s now 4.95% up to the yearly maximum pensionable earnings. And they brought in the CPP IB, the Canada Pension Plan Investment Board, a separate arm’s length organization to handle the surplus. The surplus currently is something like 280 plus billion dollars on hand. 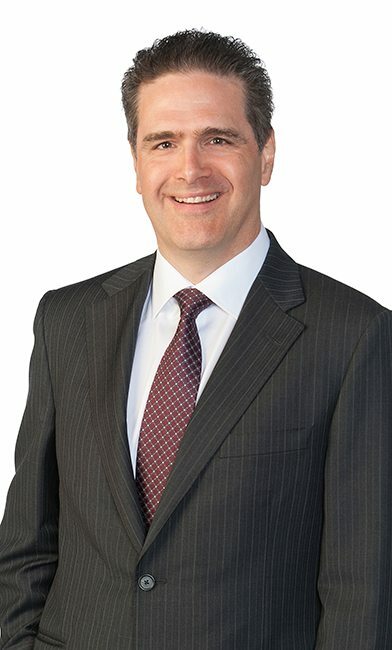 Canada’s chief actuary studies the CPP Plan every three years and determines that it’s fully funded for at least the next 70 years, taking into account that we have an aging population. Right now more money comes in than goes out to current CPP recipients. So, the federal government is handing more money to the CPP IB every year and they are investing, and investing it well and making a good rate of return. So, personally I wouldn’t worry about the CPP not being there. Doug Hoyes: So, the real decision though is how much am I going to need over and above what will be there from things like CPP, OAS or if I’m one of the lucky ones who have a company pension plan, how much over and above that I will need and that’s where it all comes back to tracking your spending now so that you can then take a guess projection as to what the future will hold. Doug Hoyes: Okay now I understand all that, let’s get to the meat. This show is called Debt Free in 30 so I like to talk about debt. Fortunately in your book, which as I said at the start The Procrastinator’s Guide to Retirement: How You can Retire in 10 Year or Less. In chapter two, so right at the beginning of the book you’ve got a section called Attack Credit Card Debt First. Why? David Trahair: Well, I think that’s a huge problem in Canada. And I’ve been looking for statistics and I found one from the Canadian Banker’s Association. This was as of December 2014 that said 60% of Canadians pay off their credit cards each and every month and therefore don’t pay interest. That means 40% don’t. Like four in 10 Canadians are living their lives, spending more than they make, running up credit card debt during their working years. So, what’s going to happen to these people when they retire? They’re not saving anything. If they are putting money in savings they’re effectively financing it double digit interest rates on personal debt -makes no sense whatsoever. So, that’s why I put that chapter so early because, you know, if you want to get your act together, get back on side and really crank things up with these last 10 years, these all important years, and you’ve got a huge amount of credit card debt sitting there, forget everything else. Forget retirement savings, forget TFSAs, forget RRSPs and just focus on getting out of credit card debt. I mean I probably don’t have to sell you on that. Doug Hoyes: Oh no, I’m with you on that and I agree, credit card debt is I mean other than a payday loan, it is the highest interest rate debt that pretty much anyone can ever have. So, a lot higher than a mortgage, a lot higher than a bank loan, a car loan and so on. And there’s not a whole lot of point in my view, you can tell me your opinion in this, in saving for retirement if I’ve got $20,000 owing on credit cards and I’m paying 19% interest every month. So, saying okay I’m going to save $200 a month towards my retirement in a TFSA or an RRSP where I’m going to earn one or two or three percent when I’m paying 20% after tax on a credit card, it makes no sense to me. Does it equally baffle you? David Trahair: 100%. I remember there was a series of articles in a recent newspaper about what people were doing in their TFSAs and there were people, you know, investing in a tax free savings account that had credit card debt with a 20% interest rate. That’s ridiculous financially. As you said they probably only make a few percent in the tax free savings account. They’re losing a ton of money because they could have used that money that went to the TFSA to pay down that credit card debt. Doug Hoyes: But the experts say, and you kind of alluded to it earlier, it’s a habit. If you get into the savings habit early and start putting that money aside early, even though you still got that debt you get into the habit of saving so that once your debt’s paid off you can continue on with that habit. David Trahair: Well, you know, well use that habit to pay off the debt rather than save – have that monthly amount go to pay off the debt. Doug Hoyes: And like you said, you’re not a psychologist and neither am I, though obviously we’re playing one on the radio today. To me forget about the psychology, look at the math. You’re paying 20% after tax on your credit card and you’re earning, you know, 1% pre-tax. David Trahair: It’s a no brainer, forget it. Doug Hoyes: Yeah, there really is no sense to it. David Trahair: Which brings up the other thing Doug, if somebody did take the time to track their finances and saw the incredible amount of interest that they’re wasting, maybe that will trigger them to change their habits, which is what really is required. We can get into alternatives like balance transfer offers to a lower interest rate, debt consolidation loans, but those strategies are useless unless the people change their habits so that they start focusing on where they’re wasting money and get back on side. You know a balance transfer at 0% for a year sounds great and is good for a year, but if they don’t change their habits so that they could pay off the debt, then the new credit card company’s going to be one that starts charging them 20% or more. Doug Hoyes: Yeah, you haven’t made any progress. Doug Hoyes: And I know in my work that the largest age group, the most growth in bankruptcies and consumer proposals is the seniors, people over the age of 60 because they are coming into retirement with debt. So, I agree with you, your number one goal has to be to reduce that debt and, you know, sadly for some people they have to do a proposal or a bankruptcy while they’re in their 40s or 50s so that by the time they get to the retirement age the debt has all been cleaned up. But at a more basic level you’re saying track your spending, see where it’s going. And once you see how much you’re spending on interest that may make the decision for you a lot easier, that that’s an area you’ve got to attack right away. Okay, this is show number 90, last week was show number 89, I did that math in my head, my guest was Hilliard MacBeth, how wrote a book called When the Bubble Bursts, Surviving The Canadian Real Estate Crash. And he obviously, based on the title of that book, thinks real estate prices are headed down and obviously he’s been correct in places like Calgary and Edmonton so far. I mean we’re recording this in the spring of 2016, the bubble hasn’t quite burst in Toronto yet, maybe it never will. What are your thoughts on real estate? Is it as simple as saying look I don’t need to worry about retirement, I don’t need to do all this savings stuff because I own a house. By the time I retire, the mortgage will be paid off, life will be good so don’t bother me with all this saving stuff and tracking, spending and everything. I’ve got a house, that’s my retirement. David Trahair: I totally disagree with that. I think looking at the value of your house in a net worth statement might make you feel good, but it’s not cash. You can’t take $10,000 out of your house to spend, it’s just a paper figure that could increase, that could look good on paper, but could decrease significantly like it has in Calgary as you mentioned. The problem with a house is there’s so many cash expenses related to maintaining a house, even if you paid off the mortgage there’s property taxes, maintenance, insurance, utilities and that’s going to go on all the way through retirement, even as I say if you’ve managed to pay off the mortgage. So, a house looks good on paper, is a good asset, but really to use it for your retirement, you have to do something with it like sell it, downsize, move to a smaller town, possibly take out a home equity line of credit or as a last case maybe a reverse mortgage if there’s no other option. So, yes a good asset but really it’s cash flow that people need to focus on in retirement, not what their balance sheet looks like. Doug Hoyes: Yeah, a house is a place to live, think of it like that. Don’t start worrying about is it an investment, is it going to go up? ‘Cause you’re right, if I retired tomorrow and if my house is paid off, then that’s great but you’re right, I still got to pay the property taxes, everything else. It doesn’t change. I assume you are not a big fan of carrying a mortgage into retirement. David Trahair: No, you know, and this used to be the case. Previous generations, nobody that would be unheard of to into retirement with a mortgage. But I’m sure you see this all the time, it’s like second nature now. Nobody is really that concerned about paying off the mortgage before retirement. They’re going into retirement with big mortgages. You know, interest rates ultra low right now, it looks like we’re in a low interest rate environment for the foreseeable future, maybe not a huge risk but if interest rates increase significantly, those people are in a really tough situation because again, focus back on the cash flow, mortgage payments would increase significantly if interest rates increased, not to mention what the housing market’s going to do. Doug Hoyes: Which we don’t know, we can’t see the future. But I guess that’s a good way to end the segment because it comes back again to your point about tracking your spending. If I understand how much I’m spending on the mortgage and on property taxes, repairs in maintenance, repairs the house is going to need in the future. Doug Hoyes: Utilities, all those kinds of things, insurance. Then all of a sudden oh okay, maybe the house price will continue to go up by one or two percent a year, but with all those other expenses, it’s not an investment, it’s a place to live. David Trahair: Exactly. It’s a cash pig, that’s what it is. Doug Hoyes: Well, that’s an excellent way to end it. We’re going to take a quick break and then come back and talk about some practical considerations leading into retirement. My guest today is David Trehair, the author of The Procrastinator’s Guide to Retirement: How You Can Retire in 10 Years or Less and we’ll be back here on Debt Free in 30. It’s time for the Let’s Get Started segment here on Debt Free in 30. This is the segment where we focus on practical advice. My guest today is David Trahair, the author of a new book called The Procrastinator’s Guide to Retirement: How You Can Retire in 10 Years or Less. So, David we touched on some of your advice in the first segment but let’s start from the beginning, what’s your advice for someone who is not yet retired but they have debt, where should they be starting? David Trahair: Well, again as I said in the first part it has to start with tracking their finances to know where they are. And this means looking at where their cash is going out. Hopefully they’ll focus on this incredible amount of interest on that debt and that will inspire them to focus on paying off that debt. Because you can’t really save for retirement when you’re already in the hole with debt, debt has to be the number one priority. Doug Hoyes: So that’s fairly simple and straight forward. The title of the book The Procrastinator’s Guide to Retirement: How You Can Retire in 10 Years or Less so, let’s say that the people who are listening to us are in that time frame, 10 years or less to retirement. What are some of the other practical things they should be thinking about over and above paying off debt before they get to retirement? David Trahair: I think the other thing they should be looking at is where their money should be going to focus on the discretionary expenses, the things that they’re spending a lot of money on like meals out, clothing, possibly cash withdrawals. A lot of people are spending a lot of money on cash withdrawals because the whole focus is with 10 years or less to go you’ve really got to get your act together. And that means freeing up money so that you can plow that into your retirement savings and the strategy essentially asks people to re-invest any tax refund from the RRSP to effectively turbo charge it. But the key is you don’t have 40 years, you only have 10 years or less. You’ve got to put as much as possible in your retirement savings and this is the way to do it, to focus on where that money is. Some of this is luck, and again if you track your finances say you have children in university and you’re spending, your financing a lot of that, the year that your child graduates from university is a significant improvement for many people. Money that used to be going to the university can now be plowed into your retirement savings. And my worry is that people won’t think about that because they don’t track and when they have excess money they’ll just blow it, they’ll just spend it. Doug Hoyes: And you’ve got to be doing the opposite, you’ve got to be saving that excess money, not blowing it as you say. Doug Hoyes: What about the concept of practicing for retirement immediately. You know, Tim Farris would call it mini retirements, the author of the Four Hour Work Week. What are your thoughts on that? So, I’m tracking my spending and I realize okay I’m spending a lot of money here or there but when I’m retired what am I going to do? I won’t be going to work. So, is retirement going to cost me money because now I’m going to have to fill in my time or is there a way to make money in retirement? David Trahair: Yeah, I think that’s a brilliant idea is to start thinking, start acting like you’re retired even if it’s on a part-time basis. Think about the things that you’re going to do after you’re retired, try them out now. For some people the news will be very positive from a financial point of view because they’ll find oh I enjoy parts of what I do for a living. You know, I’m going to continue to do this when I’m retired or taking up hobbies to fill their time. And obviously for those people who really have desire to say travel the world during retirement, then that’s going to have an impact on their finances. They’re going to have to have saved a lot more than somebody who’s going to work part-time during retirement. Doug Hoyes: So, a hobby is something to think about right now then. And again you and I are both accountants and we both work a lot. But you’ve already started thinking towards retirement. So what let’s flash forward 10, 20, 30 years, what will be some of the things that you’ll be spending your day doing, that you’ll have more time for than you’ve now that you’re working. David Trahair: Well, good question. Part of it is, some of what I do now I’m going to continue hopefully to continue write books, I’ll probably continue to train people on personal finance, probably on demand through the web. But my hobby is photography, so for example I’ve just bought, invested in a very good camera, I love photographing professional sports so I’m starting to do that. In fact, this summer I’ve got several weeks off just for that activity. You know, I’m already starting to that, that’s going to fill up, hopefully, a good portion of my time after I retire. Doug Hoyes: And what in effect you’re doing is practicing for retirement. Doug Hoyes: So you may find that travelling off to that sporting event and taking pictures all day long is great or you may find you hate it, well it’s good to find that out now. David Trahair: That’s exactly right. David Trahair: It’s an investment upfront, yeah. Doug Hoyes: But there’s also I guess the potential for covering some of your costs or maybe even making some income off it as well. David Trahair: Possibly too. My idea is I’ve already got a website that I post the photographs is to approach an organization and say look if you give me a press pass i.e. I get in free behind the scenes, I will spend the day photographing your event and making all the pictures available for your social media to help you market your event. Doug Hoyes: Yeah, cover my costs and I’ll give it to you. So, there you go so from a practical point of view, track your spending so that you know what you’re spending now and you can estimate what it will be in the future. Get out of debt before you retire and then practice for retirement now. David, thanks very much for being here. David Trahair: Thanks for having me Doug. Doug Hoyes: Thanks very much. That was David Trahair. That was the Let’s Get Started segment. I’ll be back to wrap it up. You’re listening to Debt Free in 30. Doug Hoyes: Welcome back, it’s time for the 30 second recap of what we discussed today. My guest today was David Trahair, a chartered accountant and CPA, whose new book is The Procrastinator’s Guide to Retirement, How You Can Retire in 10 Years or Less. David says that rules of thumb are too general to be useful when it comes to retirement so to find out if you have enough to retire start by tracking your current spending and eliminate all debt before retirement. That’s the 30 second recap of what we discussed today. So, what’s my take on David’s message? Well, I agree, eliminating debt before you retire is very important because when you retire, your income will likely decrease but most of your basic living expenses will remain the same. You don’t want the burden of money debt payments when you enter retirement. So, what should you do? Well, I agree with David’s first step, start tracking your expenses now before you retire. You can use an app on your computer or if that’s too hard just write down everything you spend money on for a month and look for areas to reduce expenses or increase your income. Then use that cash flow to either pay down debt or increase your retirement savings. If there’s no way you can pay off all of your debt before retirement, it’s time for some professional advice. At my firm Hoyes Michalos & Associates, the fastest growing segment of our business is seniors. So, we’re happy to explain how a consumer proposal may be a good strategy to eliminate debt before retirement or even after retirement, if necessary. Debt problems don’t go away on their own so the sooner you get help, the sooner you can get a fresh start and be ready for retirement. Should I Use My RRSP to Pay Off Debt?